While frivolous lawsuits aren't uncommon in today's litigious environment, some stand out because they are so preposterous. Here are seven examples. Roy Pearson was an administrative law judge in Washington D.C. In 2005 he took a pair of pants to a local dry cleaner for alterations. The dry cleaner was owned by South Korean immigrants named Chung. When Pearson went to retrieve the pants a few days later, he discovered they weren't there. The Chungs had inadvertently sent them to the wrong location. The pants were soon located but Pearson refused to accept them. He claimed the pants weren't his despite documentation provided by the Chungs that showed otherwise. 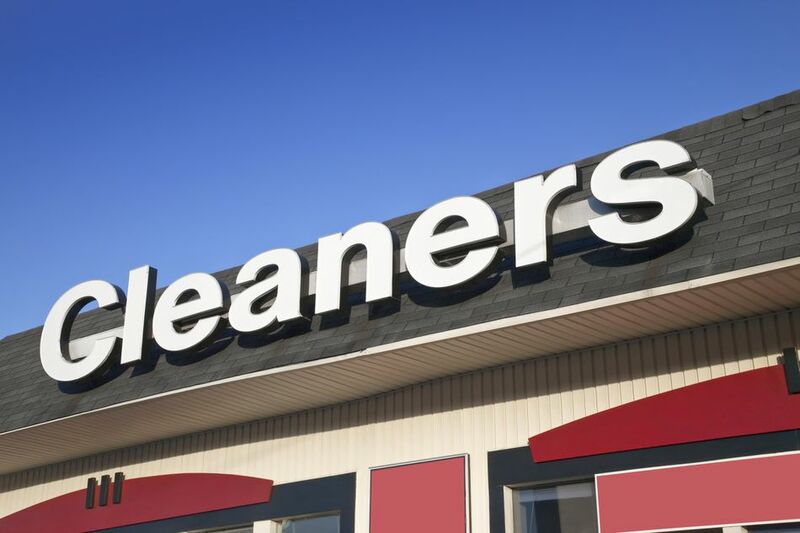 Pearson sued the dry cleaners for $67 million. Among other things, he claimed that the Chungs had committed fraud by failing to honor a "satisfaction guaranteed" sign displayed at the store. A court disagreed and Pearson ultimately lost the case. Pearson's term as a judge expired in 2007, and he was not re-appointed. He sued the city for wrongful termination but did not get his job back. That Ad Was Just Too Scary! In 2014, a New York woman sued the Metropolitan Transportation Authority and the Showtime television network for an injury she sustained in a fall triggered by a scary poster. The woman claims she was on a staircase in Grand Central Terminal when she spotted an ad for the TV show "Dexter." The ad featured a photo of Michael C. Hall, who plays a serial killer on the show, with his face covered by cellophane. The woman alleged that the image was so disturbing it caused her to fall down the stairs, sustaining a broken ankle and a head injury. The ad also caused her to have nightmares that necessitated visits to a psychiatrist. At a March 2018 hearing in Manhattan, the presiding judge didn't show the plaintiff much sympathy. According to the New York Post, he stated that negligence suits based on scary things are "a slippery slope." While he didn't issue a final ruling, he indicated he would likely dismiss the case. Otherwise, he would "let the floodgates open." You Infringed On My Patent (Even Though I Didn't Have One)! A magician named David Roller filed a lawsuit against David Copperfield, who is also a magician, for patent infringement. Mr. Roller alleged that he had patented his godly powers and that Mr. Copperfield had used them without his permission. In reality, Mr. Roller had neither applied for nor obtained a patent on his divine powers. When Mr. Copperfield filed a motion to dismiss the suit, contending that no patent existed, Mr. Roller filed an amended complaint. This time he alleged that Mr. Copperfield and several other individuals had conspired to murder him. The court noted that the plaintiff hadn't cited any facts to support his claim and that he had a long history of filing frivolous suits, including previous claims against Mr. Copperfield. The court dismissed Mr. Roller's suit and barred him from filing any similar claims in the future. But My Fantasies Never Came True! Richard Overton sued Anheuser-Busch for allegedly violating Michigan's pricing and advertising act. According to the lawsuit, the brewing company placed ads containing images of beautiful women and tropical settings. The ads were deceptive and misleading because they implied that a person's fantasies could become reality. They also enticed the Overton and other members of the public to drink the company's products. Anheiser-Busch knew its products were potentially dangerous as they could lead to addiction and other health problems. Overton sought more than $10,000 in damages for physical and mental injury, emotional distress, and financial loss. The court didn't buy Overton's claims and ruled in favor of Anheiser-Busch. It determined that the images in the ads didn't constitute fraud but were simply puffing. It also found that the brewery had no duty to warn the plaintiff since the risks of alcoholic beverages are widely known. It's Your Fault I Look Like You! Allen Ray Heckard filed a $832 million lawsuit against Michael Jordan and Phil Knight, the founder of Nike. Heckerd resembled Michael Jordan in appearance and complained that he was frequently mistaken for the basketball star. Because of Michael Jordan's fame, Heckert suffered harassment by the public. He sought both compensatory damages and punitive damages for emotional pain and suffering. Heckert eventually withdrew his claim, probably due to public backlash. He never received any money from Jordan or Nike. I Violated My Own Civil Rights! Robert Lee Brock was an inmate in a Virginia prison. He was serving a 23-year sentence for breaking and entering, and larceny. During his incarceration, Brock filed numerous lawsuits against the prison. The lawsuits addressed many aspects of prison life, including the food, the clothing, the water, the coffee, and the mail system. Brock's most ridiculous suit was against himself. He sued himself for $5 million, claiming that he had violated his own civil rights and religious beliefs by getting drunk. His drunkenness was the reason he committed the crimes that landed him in prison. Of course, Brock had no income because he was in prison, so he expected the state to pay the damages. Not surprisingly, the case was thrown out by the judge. You Mean Iced Drinks Actually Contain Ice? In 2016, a California man attempted to initiate a class action lawsuit against Starbucks for misrepresenting the amount of liquid contained in its cold drinks. The man alleged that Starbucks cheated customers by adding ice to cold beverages, thereby reducing the amount of liquid contained in the cups. His suit sought damages for numerous offenses, including breach of express warranty, unjust enrichment, fraud, and violation of California's unfair competition law. A federal judge dismissed the case contending that "no reasonable consumer would think (for example) that a 12-ounce iced drink, such as iced coffee or iced tea, contains 12 ounces of coffee or tea and no ice."